Outdoor Recreation Northern Ireland has welcomed the launch of a major Strategy which aims to develop a 1000km network of greenway paths across Northern Ireland. The not-for-profit organisation which has the vision of ‘Placing outdoor recreation at the heart of society’, believes the Strategic Plan for Greenways has the potential to be a catalyst for significant economic, health and social benefits through greater participation in outdoor recreation. “Many communities in Northern Ireland are not walkable. Despite popular belief, it is a fact that many of our rural communities lack safe places to walk, and are not physically connected to other communities. The development of community paths, which could further link into the Greenway network would provide much needed doorstep walking opportunities.” continued Mr Stelfox. Mr Stelfox acknowledged the initial £160,000 grant funding provided by the Department of Infrastructure to progress the initiative. However, Outdoor Recreation NI does stress that the importance of supporting the Strategic Plan through long term investment, not just in terms of infrastructure, but also through cross-departmental working to achieve better outcomes for the entire population. 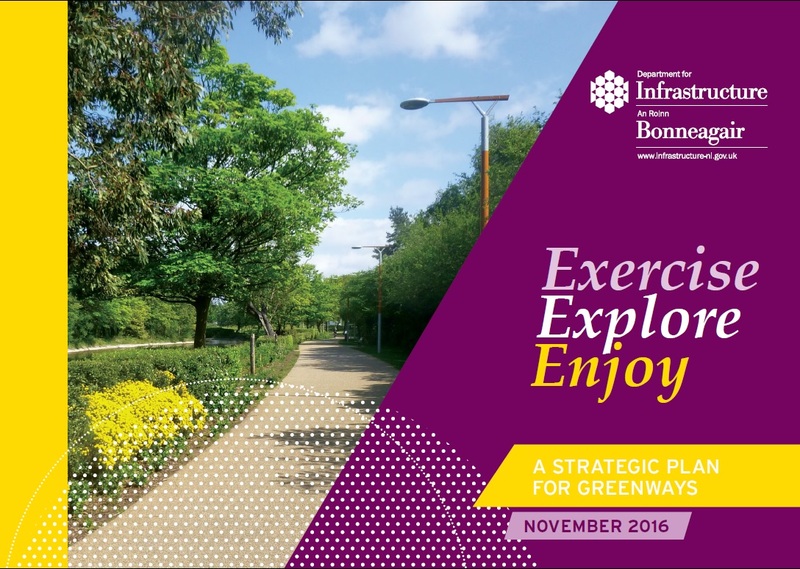 “The Greenways Plan is a step in the right direction, and is to be welcomed. However, further work across Government to develop, support and promote outdoor recreation, in particular walking, could move our health service towards a health and wellbeing service, as opposed to simply a sickness service. This is an approach that’s already been adopted in Scotland, where for every £1 invested in health walks, £8 of benefits are generated for society.” highlighted Mr Stelfox.